Palestinian Prisoners center for Studies revealed that the detainees in the Israeli Negev jail have been complaining of worsening detention conditions due to the extreme hot weather hitting the region for days. The center quoted the captives in Negev prison as saying that they have not been able to get out of their rooms and tents over the past few days because of the very high temperatures that hit 40 degrees in the Negev desert on Sunday and Monday. 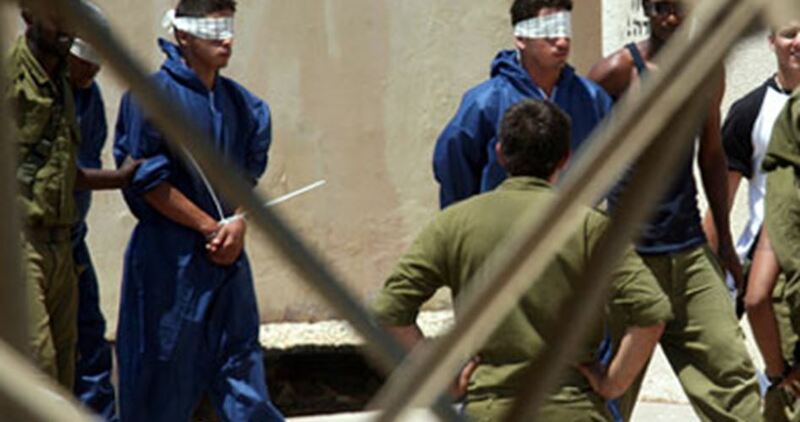 The spokesman of the center, Riyad al-Ashqar, warned of the repercussions of the unusual hot weather that could happen such as probable sunstroke and fainting among prisoners in light of the poor health services and the medical neglect policy pursued in Israeli jails. 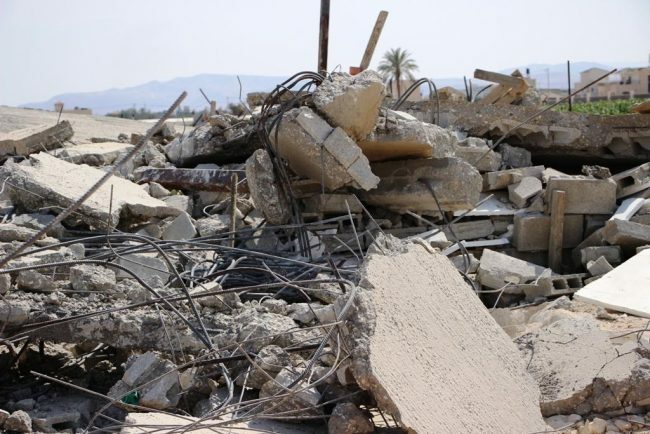 Ashqar also warned of the spread of deadly snakes as well as rodents and insects which can easily reach detainees’ sections and tents and could not be combated simply because of not allowing prisoners to use pesticides and drugs to eliminate them. 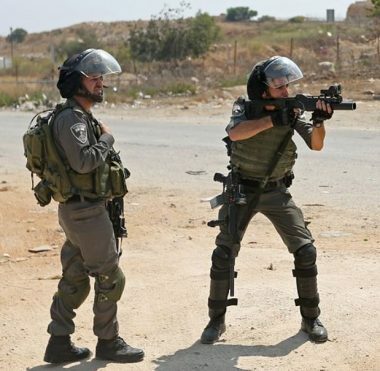 Israeli soldiers invaded, on Monday at dawn, Qaryout village, south of the northern West Bank city of Nablus, abducted a Palestinian from his work, and fired gas bombs, causing many Palestinians, including children, to suffer the effects of teargas inhalation. Media sources in Nablus said the soldiers invaded Ras al-Ein area, in the city, and abducted Mahmoud Ali ‘Aseeda, from his work. The abducted Palestinian is from Tal nearby village. Clashes took place between the invading soldiers, who fired gas bombs and concussion grenades, and local youngsters who hurled stones at the military vehicles. Medical sources said many Palestinians, including children, suffered the severe effects of teargas inhalation, and received the needed treatment. Furthermore, the soldiers abducted seventeen Palestinians, including children, from their homes in different parts of the occupied West Bank. 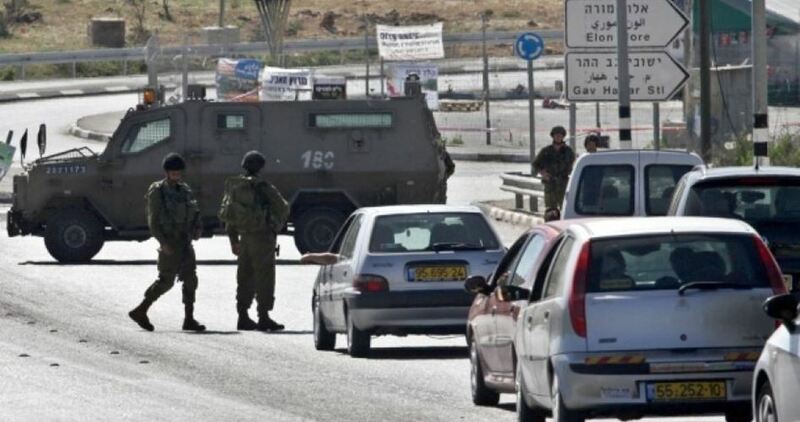 On Monday at dawn, the soldiers invaded Palestinian towns in the southern West Bank governorate of Hebron, installed roadblocks and searched many cars while interrogated several Palestinians. Clashes erupted between Palestinian protesters and Israeli soldiers along the border of the besieged Gaza Strip yesterday afternoon, leaving dozens injured. 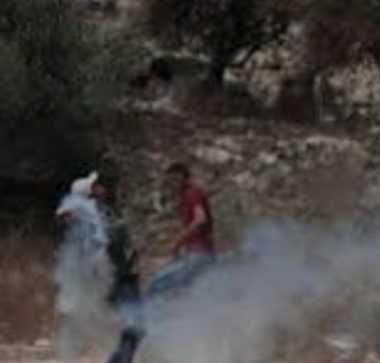 A number of Palestinians, including two paramedics, suffered from tear gas inhalation and had to be treated in hospital. Witnesses told the Palestinian news agency Ma’an that tear gas canisters were also fired “directly” towards ambulances that had arrived to help the injured. An Israeli army spokesman confirmed the incident, commenting that “violent riots” had erupted in northern and central Gaza and that the Israeli army had employed “crowd control means”, but that live ammunition had not been used. Despite this, IMEMC reported that shots had been fired in Gaza City, injuring a Palestinian man who was subsequently rushed to Shifa hospital. The soldiers were also reported to have fired live rounds and gas bombs at many Palestinians near the fence in the Bureij refugee camp in central Gaza, in addition to Khan Yunis and Rafah in the southern part of the coastal region. 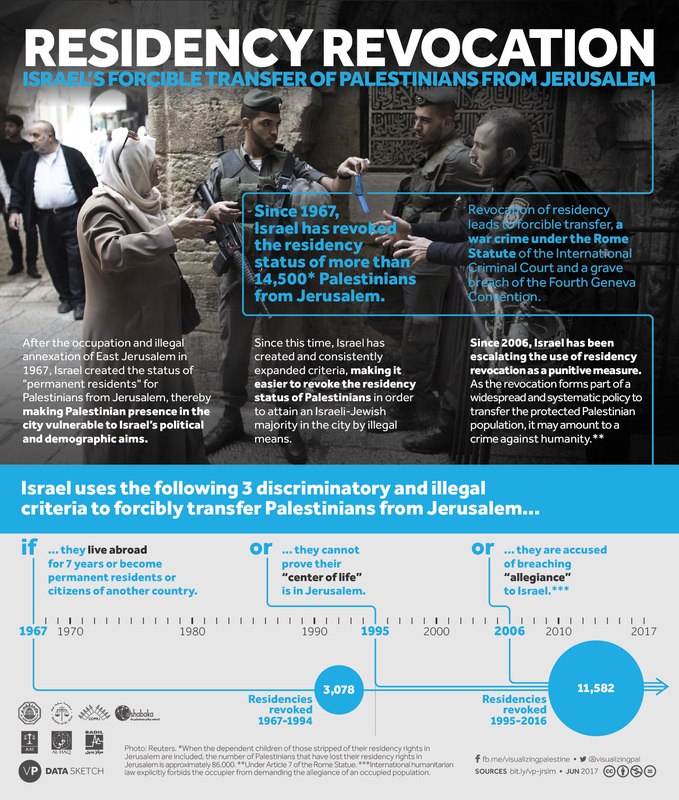 Israeli occupation forces have killed 327 Palestinians since the start of the ongoing Jerusalem Intifada in October 2015, according to figures released by Al-Quds Centre for Palestinian and Israel Studies yesterday. According to the statistic, Israeli occupation forces have killed 48 Palestinians since the start of this year. The largest number of deaths were of Palestinians from the occupied West Bank city of Hebron, where 81 Palestinians were killed, followed by Jerusalem with 65, Ramallah with 33, Jenin with 25, Nablus with 23, Bethlehem 20, Tulkarm 8, Salfit 5, Qalqilia 4 and Tubas 1. Meanwhile, the statistic said that 52 Palestinians were killed in the besieged Gaza Strip, seven in Israel and three none Palestinians. Of those killed 91 were children, the youngest just three-month-old. Thirty-two females were killed, including 16 minors. The youngest was the Rahaf Hassan, who was killed aged two when her house was attacked by Israeli jets in Gaza. The bodies of nine Palestinians are being held by Israeli forces and have not been released for burial.